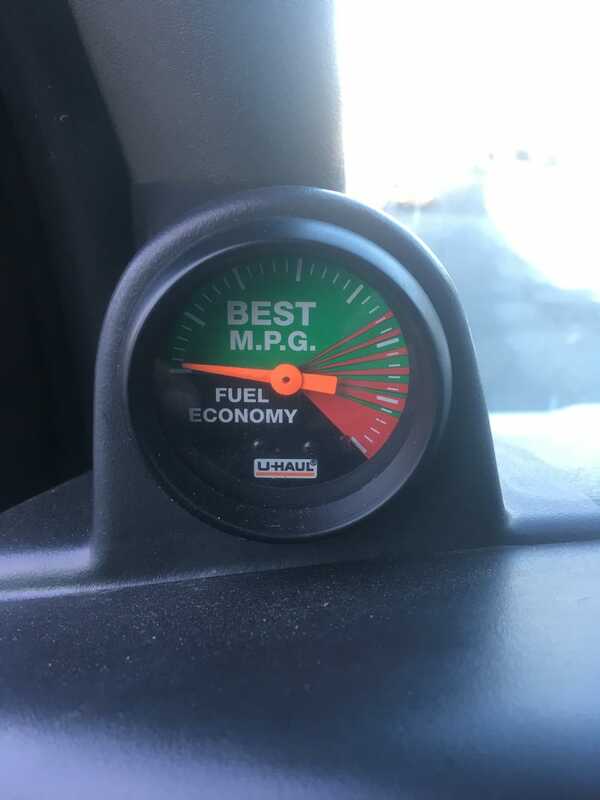 No gauge, be it factory or aftermarket, is more beautifully, consistently, and deliberately garbage than the fuel economy gauge in U-Haul vans. Meant to encourage economical driving, nearly everything it ever tells you is wrong. When you’re accelerating, be it slow and gradual or hammer down, the gauge shows the fuel economy gets dramatically worse every time the van upshifts and gradually improves as the RPMs rise. Conversely, if you’re cruising/coasting in a high gear and get on the throttle enough that the transmission has to downshift the gauge will indicate am improvement in fuel economy. And you will never, ever see better indicated economy than when you’re stationary. The only thing the gauge gets right is that more throttle is less efficient than less throttle. It is crap.